When it's raining outside kids become restless but that is no excuse for not being active or moving their bodies. Try making a ring toss game out of recycled materials and put a new spin on a rainy day afternoon. First cut out large circles in three paper plates to make rings to throw. To make the actual standing peg use a paper towel tube or two toilet paper tubes taped together. 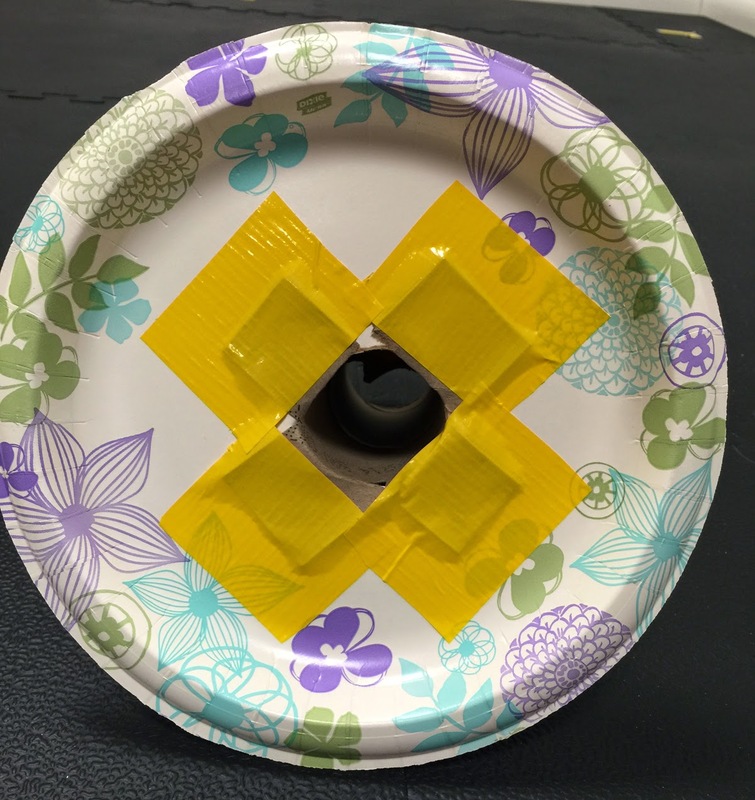 Cut a small circular opening in one paper plate to pass the tube through the paper plate. 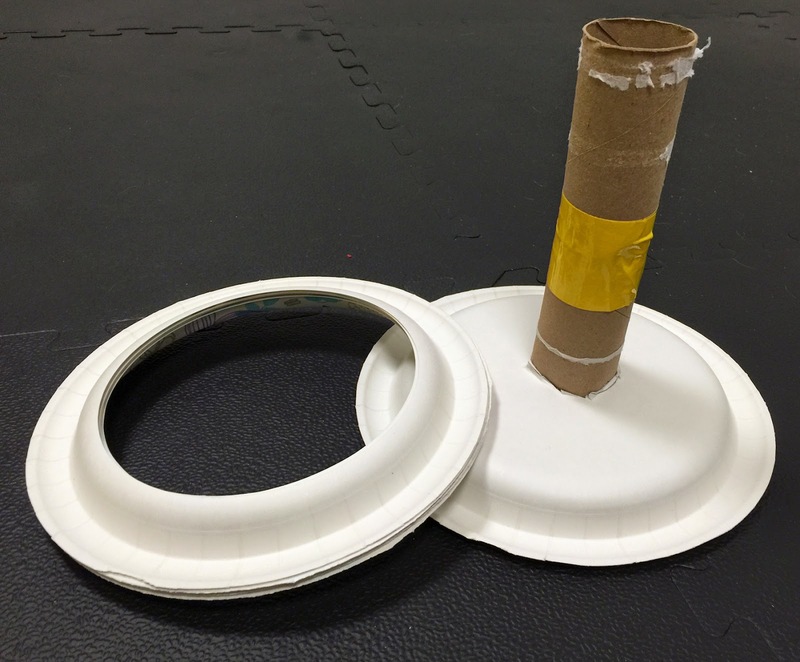 Slice the tube and fold up and tape to the underside of the paper plate, see second picture. 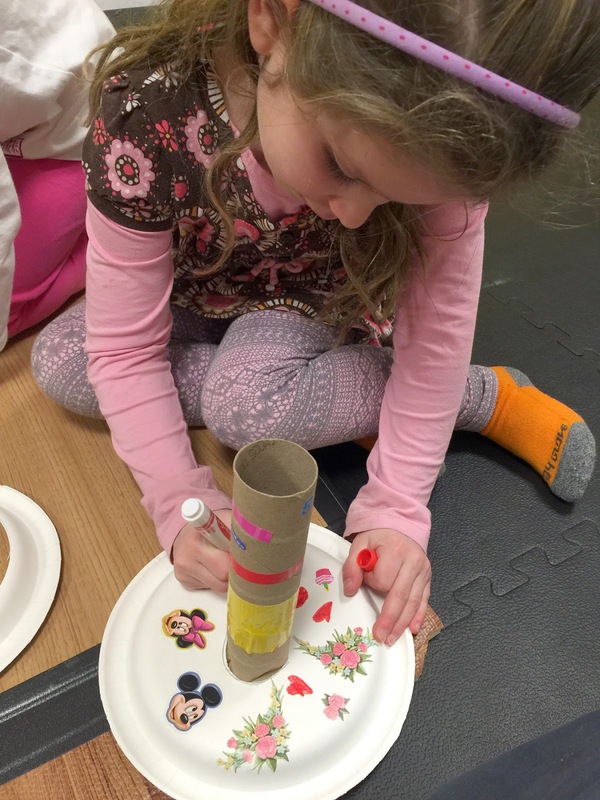 Then have the kids decorate the peg and the rings with markers and stickers. 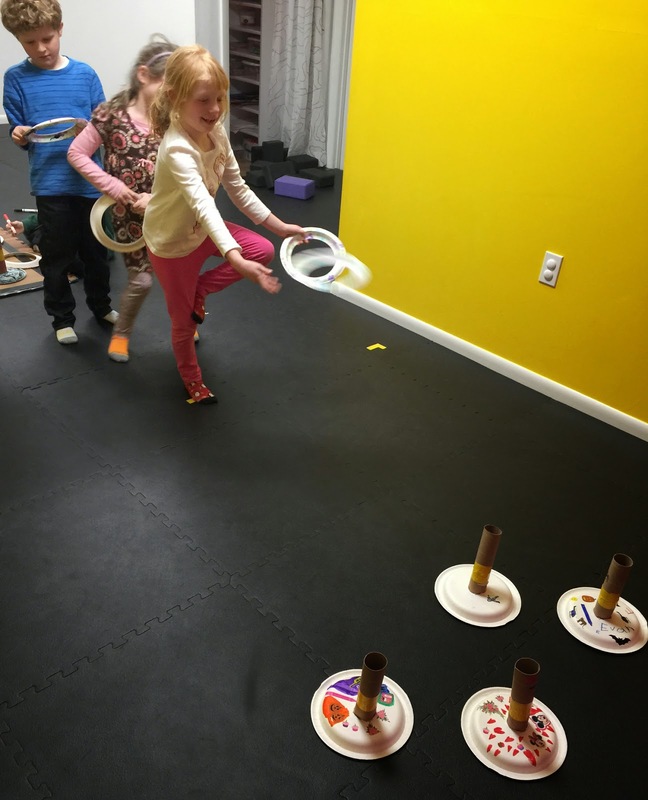 The Bee Yoga Fusion YogaKids enjoyed adding a yoga element to our ring toss game. The person throwing had to stand in tree pose while trying to throw their ring around a peg. Give it a try with your kids today!